is "Mana on the Beach" by Chris Campbell. This weekend's 17th annual ArtWalk in San Diego will be featuring six blocks' worth of storefronts showing off works and performances of artists in and around that city, attracting around 50,000 people. The only outside vendor participating in the ArtWalk is from Hawaii. 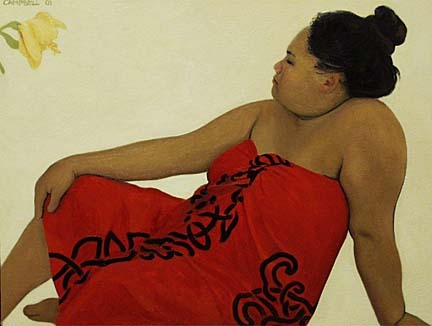 With the sponsorship of Hawaiian Airlines (which is also promoting its new Honolulu-San Diego flight connection), Cedar Street Galleries took five sculptures and 50 paintings by seven local artists to the urban arts festival. These works are usually on display and on sale at the galleries here, but if any of the pieces that were taken to San Diego are sold there, so much the better for helping to promote our local talent. Chris Campbell, Chuck Davis, Jodi Endicott, Snowden Hodges, Rick Mills, Mapuana Schneider and Kelly Sueda are the seven artists whose works were chosen for the trip. "Mumbo Jumbo" by Chuck Davis. Campbell is the airline's featured artist, having lived here for three years after establishing herself as an artist in New York City. Davis is a 30-year resident, making art in a variety of media, including painting and printmaking. Endicott's metallic installations can be found in public spaces throughout the island. 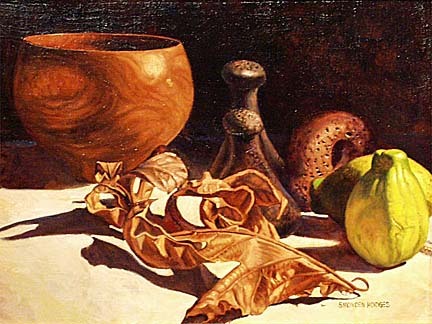 Hodges' paintings and drawings are included in several private, public and corporate national and international collections. Mills is a glass and mixed-media sculptor and a University of Hawai'i at Manoa art professor and, like Hodges, has had his work widely exhibited here and around the world. 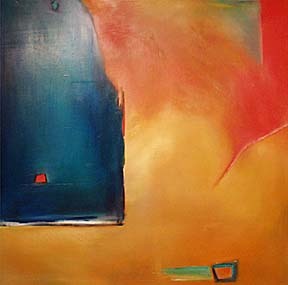 Sueda is described as "an architect in paint" and has done commissions for institutions and individuals alike here. 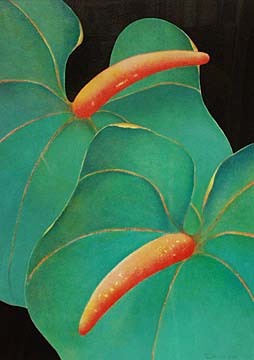 Schneider is the relative newcomer to the group, having begun her professional career in March of 1999, and was among a handful of artists to be featured in the inaugural exhibition in the new wing of the Honolulu Academy of Arts. "Ulu" is by Snowden Hodges.